to Understand How to Sail. 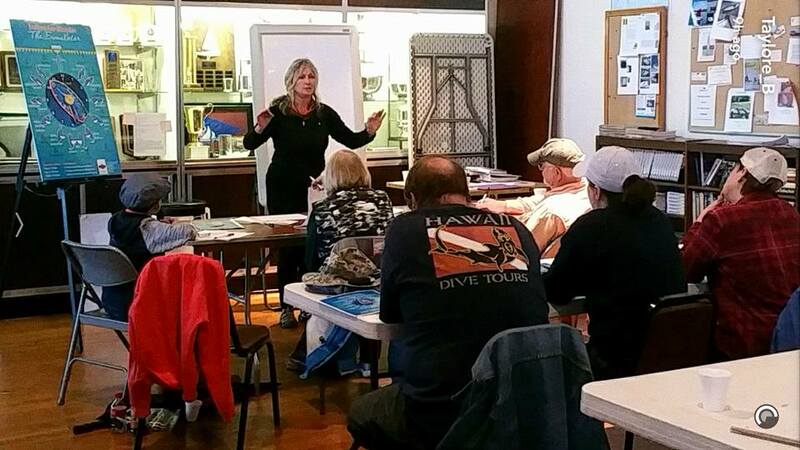 JOYCE MATLOCK INTRODUCES THE FIRST FULL ONLINE SAILING SIMULATOR COURSE. Sailing For Blondes, The Simulator Book, Learn Twice as Fast and Twice as Good, is a superior take off on the Dummies series of training books, however we offer a unique online training course to supplement the book. The package for the training includes (1) the online course, (2) the book and, (3) a precision-built PATENT PENDING SIMULATOR suitable for onboard or onshore use. 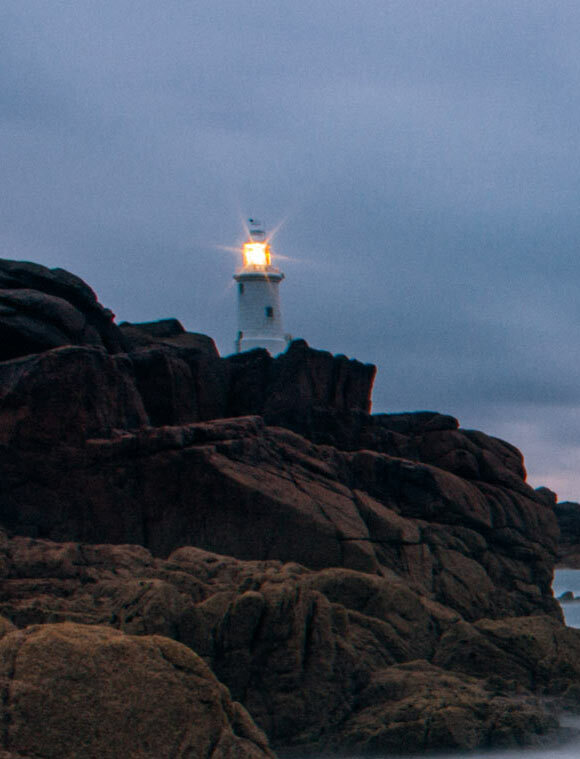 The online course gives you the breakthrough to understanding you must have to sail a boat. 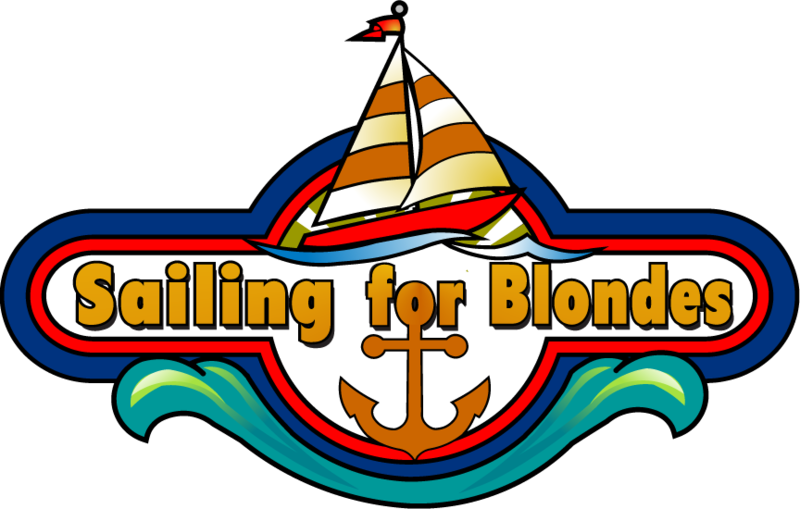 The Sailing For Blondes Online Course will teach you how to set your sails for sailing any course. 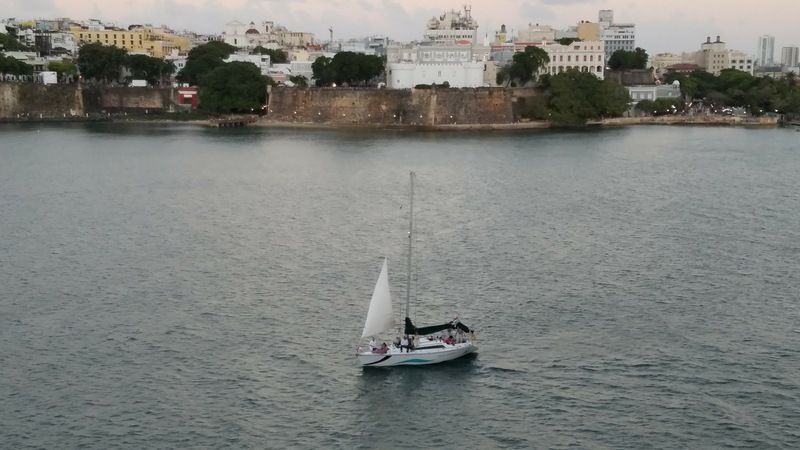 It is a unique hands-on-learning solution taught by Joyce Matlock, the founder and creator, that makes it easy for your brain to create its own meaning and understanding of how to sail. She gives you exactly what you are looking for . . . The course is taught by the author and innovator, Joyce Matlock. She developed The Simulator Book Method and will be able to expertly present the course. 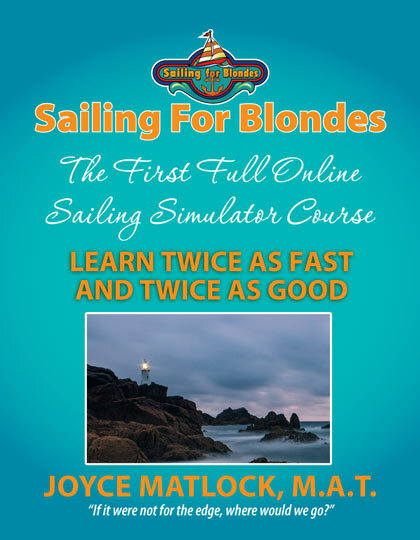 The online course is an additional companion to the book, Sailing for Blondes, The Simulator Book, Learn Twice as Fast and Twice as Good, along with the simulator. For those wanting the ease of video and PowerPoint instruction, this is an excellent way to learn how to sail a boat and gain your mental edge. The online course is for individuals and instructors. This targeted Points of Sail Training is for Beginning, Intermediate Sailors and Sailing Instructors. The course is targeted learning on exactly how to sail a boat. The course works perfectly with the tactile sailing simulator to give meaning and seal understanding of sailing concepts. The course will give you your money’s worth. 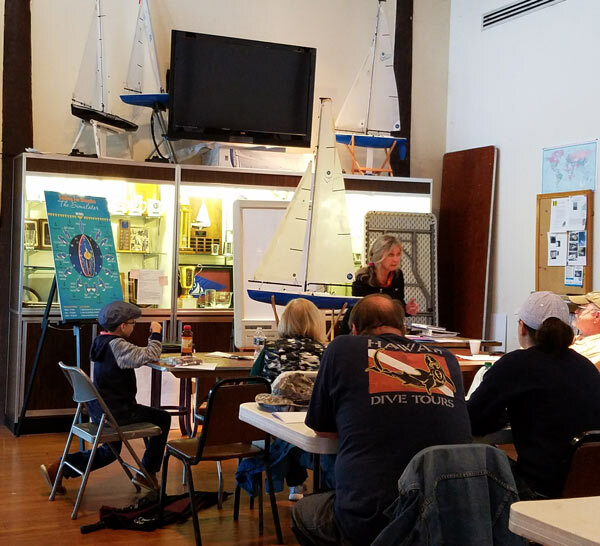 Take this course before any on-the-water sailing course because you will have the mental edge of understanding and substantially increase your benefits from any on-the-water course. The course, book and simulator are all based on Piaget’s constructivist teaching and learning theory and will give internalization of “how to sail”. 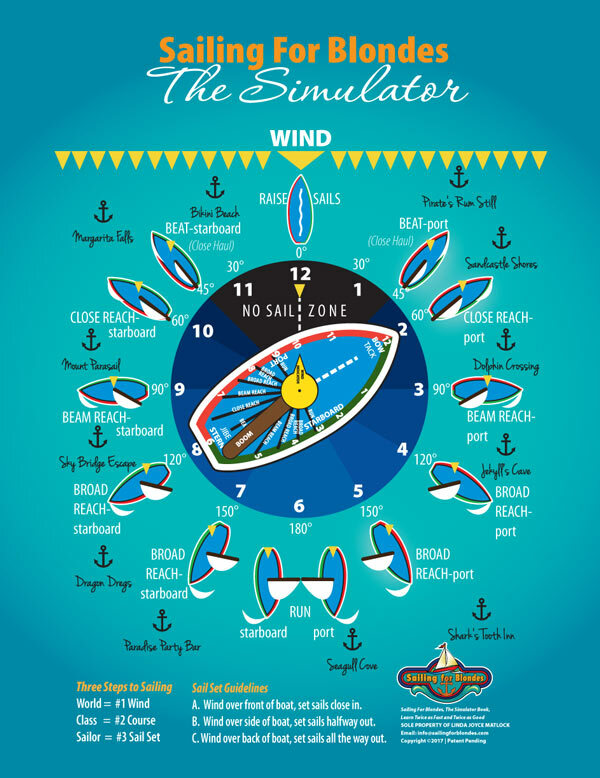 It simplifies sailing concepts for the brain and is therefore fun to do. The online course is a convenient alternative for conceptual education. You can train when you like, practice whenever, repeat as often as you like, and gain the added support of choosing the best teacher, not the closest teacher. You don’t have to be on the water to learn the concepts! Once you learn the concepts, then you can take your knowledge to the water and substantially shorten the time it takes to learn how to sail! 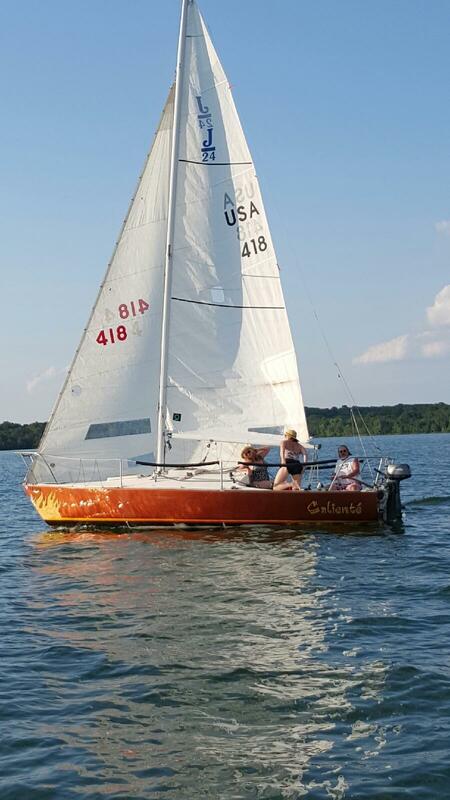 Do you primarily sail recreationally with friends? Have you already tried the traditional, technical sailing courses or books? Would you prefer a unique, fun, entertaining and highly effective way to learn to sail? Do you prefer to be ahead of the learning curve before taking an expensive on-the-water sailing course? Do you have the time available to take an on-the-water course? Do you prefer to learn concepts in your home rather than in a bricks and mortar classroom? Do you want to be valuable cruising or racing crew who can understand taking the helm and setting sails? Do you want to learn how to sail twice as fast and twice as good? Do you want a premium course at a modest price? Learn how to sail with Joyce Matlock. This course is the only known hands-on sailing simulator course on the points-of-sail. *Learn at your own pace since there is no time limit on the course. 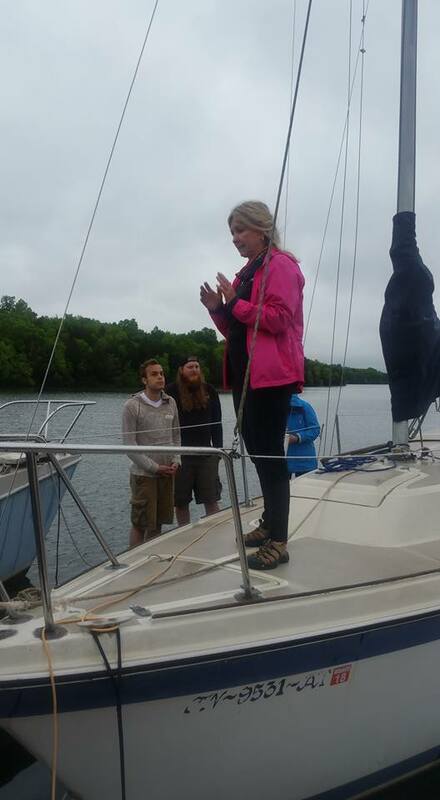 It is leading edge instruction so YOU WILL LEARN HOW TO SAIL! The future of education is changing from the standard bricks and mortar education venues to large pieces of education being taught online by dedicated and talented, teachers, instructors and professors. Time, convenience, quality of education, as well as money is driving students to excel in an online environment. 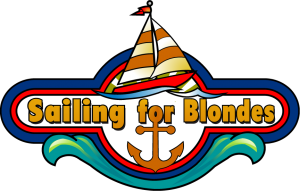 Sailing For Blondes is on the leading edge of online sailing education offering you the conceptual side of sailing before taking that knowledge to the water. 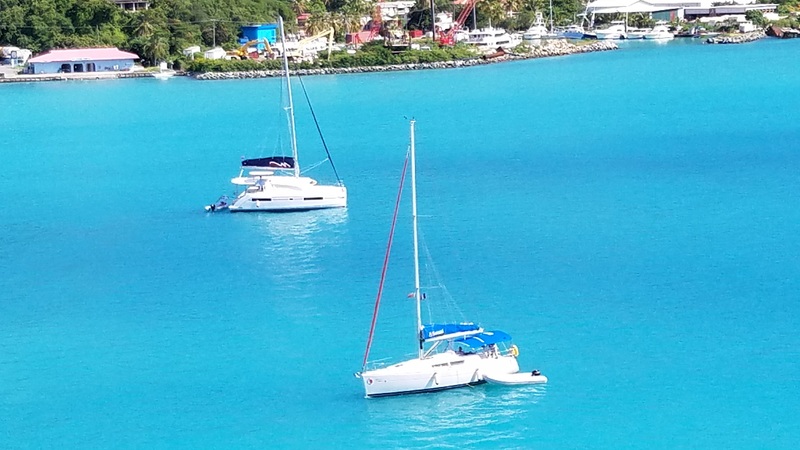 You will learn twice as fast and twice as good by first mentally mastering sailing concepts prior to going directly to an expensive on-the-water training that lasts for a few days to a week. In this way, you will get your money’s worth from your course and/or have faster results when learning to sail with friends. This training is great for beginning sailors who are confused by a lack of understanding of why and how a boat sails. It is also for those wanting to brush up on their skills or for instructors who want a simple solution for explaining the points of sail to their students. Then too, sailors of all levels would enjoy using the simulator to teach their partners or new crew. 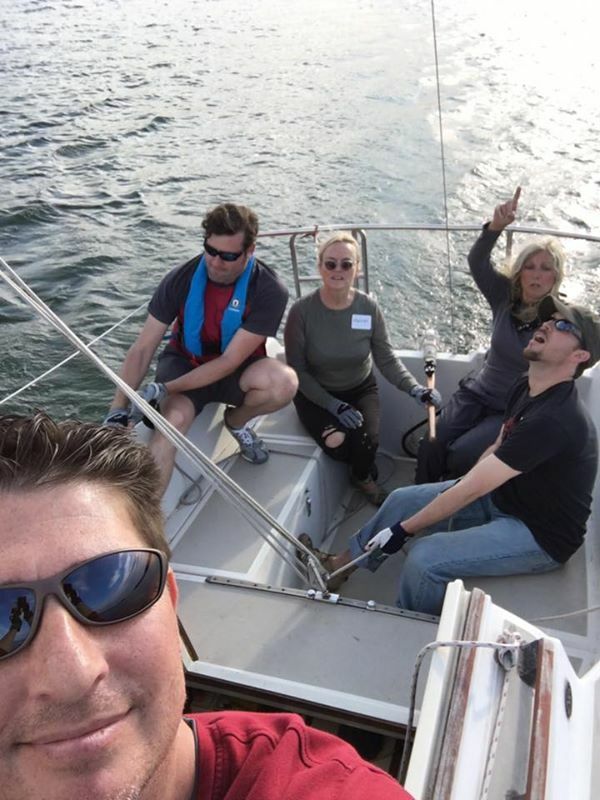 You will gain the conceptual knowledge that makes you strong when you are going against the winds or running down a glistening channel under full sail with friends. 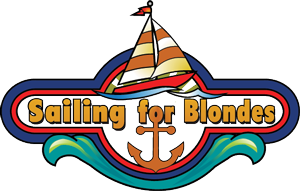 Be a part of the Sailing For Blondes Community and you won’t be disappointed. And . . . it will not break your pocketbook! Our (1) book (2) simulator and (3) online course offer the three-part, hands-on learning solution on the points of sail. The tactile simulator allows you to comprehend and remember by touching and doing as if you were on a boat learning things through physical movement. The Sailing For Blondes Online Course will give you the desired outcome of complete understanding of the concepts on how to sail a boat. Couple this understanding with practice on the water and then sail to the envisioned world of your dreams! Learn the angles for the points-of-sail. You already know them from telling time! for simply renting a sailboat at the beach! 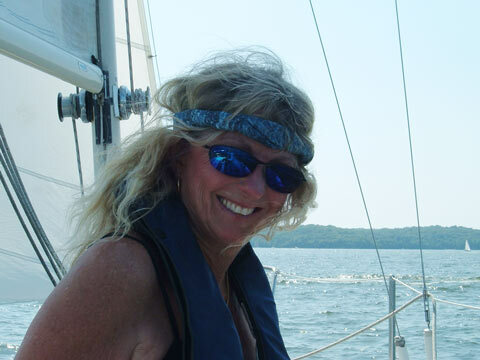 Joyce Matlock’s, Sailing For Blondes Online Course, offers Points-of-Sail Training using a PATENT PENDING SAILING SIMULATOR that will give you the breakthrough to understanding you need. The benefit to anyone taking the course is that sailing is a physical sport that requires mental understanding. Once completing the course, you will know how to set your sails for sailing any course. It is a unique hands-on learning solution that makes it easy for your brain to create its own meaning and understanding. You will know the concepts of how to sail. The course, as stated, is targeted for the points-of-sail, jibing and tacking. You will know how to set your sails and how to get to where you want to go. You can then easily practice your knowledge on the water! When you get your mental understanding from this course through your personal experience with the simulator, you will have created your own meaning and lasting understanding. This training is great for beginning sailors who are confused by a lack of understanding of why and how a boat sails. It is also for those wanting to brush up on their skills or for instructors who want a simple solution for explaining the points of sail to their students. And, sailors of all levels would enjoy using the simulator. Teach your partner to sail! The course is focused on the points-of-sail chapters in the book. 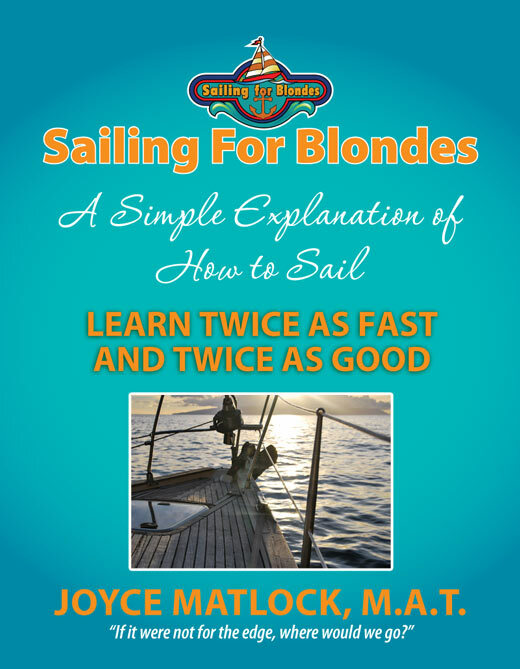 The book is the complete component of the “Sailing For Blondes Method” and includes basic sailing knowledge and all the points-of-sail. It should be used in conjunction with the online course. The book is recommended for learning the parts of a sailboat, sailing language, rigging, leaving and returning to dock, taking the helm, rules of the road, man overboard, and more. Sailing is tackling life head-on! Sailing is a learning process that continues forever; there is no end-point where the learning stops. The degree earned is in the wind you ride, the friends you make, and the deep impressions it makes in your soul. If it were not for the edge, where would we go?